Bouncing back from the holidays and into a healthy eating and exercise routine is always easier said than done. What’s also easier is falling back into old habits, especially around the holidays. On the bright side, getting back on track doesn’t have to be difficult. However, you may feel discouraged if you try to go back to your usual routine all at once. Instead, it’s better to wean yourself off the sugar and ease yourself back into an exercise routine. Even for someone who is in shape, taking just a week off of exercise can decrease your fitness. Thus, jumping right back into your usual routine can feel difficult or be tough on your body, potentially causing injury or a lot of soreness at the very least. Remember that getting back in shape won’t happen in just one day. Instead of hitting the treadmill and running until you can’t anymore, or struggling to lift heavy weights, take it slow! For example, take a few extra minutes to warm up–stretch, walk on the treadmill, or do a light jog. If weights are more your thing, start with something lighter than you’re used to, and do extra reps rather than bumping up the weight. Some other post-holiday sweat session examples include: a home workout, a gentle yoga class, keep it short (30 minutes or less), and walk as much as possible (around the neighborhood, at work, in town, etc). Manage your portion sizes. Instead of depriving yourself of sugar, limit your portion sizes. One tip is to portion out your treats ahead of time if you can, by separating amounts in tupperware or plastic baggies. Out of sight, out of mind. Instead of leaving holiday treats around the house or out in the open, put things away in drawers or in the fridge. Sometimes we don’t have cravings for a treat until we physically see it, but if it’s put away, then you won’t be tempted to reach for it. Make healthy snacks available. This step is extremely important. Typically we grab sugary treats because they are easy and readily available! Buy pre-cut veggies and fruits with healthy dips like hummus or guacamole to store front and center in your fridge. Leave fresh fruit on the counter so it’s the first thing you see when you enter the kitchen. Make sure you are getting a balanced diet, and use a supplement. Your food choices may not have been the healthiest the past few weeks, which means you may be lacking in some essential nutrients. Even when we are trying our best to eat healthy, we can’t always eat in the proportions that we need to get the correct amount of vitamins and minerals that we need to feel out best, so taking a supplement is key. Opt for a supplement that is complete, like vitafusion’s Women’s or Men’s Multivitamin. These come in gummy form, so they also can help satisfy your candy fix (in a healthy way)! 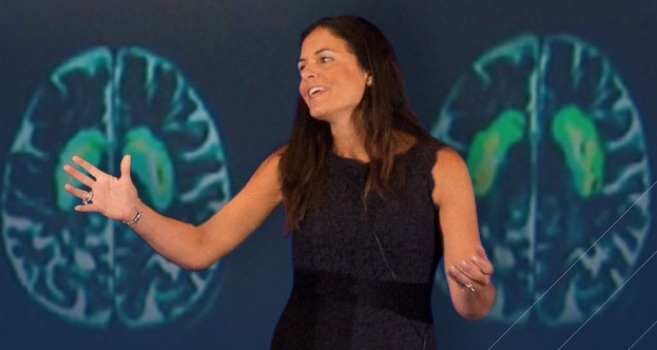 Dr. Nicole Avena is Assistant Professor of Neuroscience at Mount Sinai School of Medicine and Visiting Professor of Health Psychology at Princeton University. She is a research neuroscientist and expert in the fields of nutrition, diet and addiction, with a special focus on nutrition during early life and pregnancy. Her research achievements have been honored by awards from several groups including the New York Academy of Sciences, the American Psychological Association, and the National Institute on Drug Abuse. Dr. Avena has written several books, including Why Diets Fail, What to Eat When You’re Pregnant and What to Feed Your Baby and Toddler. She regularly appears as a science expert on the Dr. Oz Show, Good Day NY, and The Doctors, as well as many other news programs. Her work has been featured in Bloomberg Business Week, Time Magazine for Kids, The New York Times, Shape, Men’s Health, Details, and many other periodicals. Dr. Avena is a member of the Penguin Random House Speakers Bureau. She has the #2 most watched TED-ED Health talk, How Sugar Affects Your Brain. Dr. Avena blogs for Psychology Today. You can also follow her on Twitter or Facebook and Instagram, and at www.drnicoleavena.com.